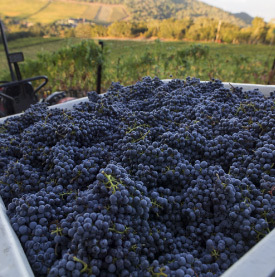 Fall is harvest time in the vineyard. We closely monitor the balance of sugar content, berry size, acid and pH levels, as well as flavor of the grapes to determine the optimal moment to harvest fruit for peak ripeness. 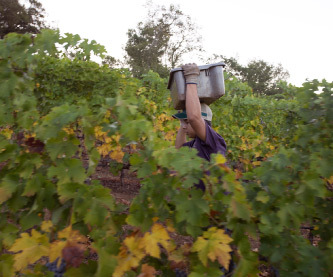 We take one last pass at thinning and then hand harvest the very best clusters from select blocks in each of our vineyards. The fruit is immediately brought to the winery for meticulous hand sorting and pre and post de-stemming, never crushing. Our wine cold soaks and then ferments in small-lot tanks before aging 20 months in 100% French Oak barrels.